The Crayola Twist Doodle Toothbrush has a comfortable handle that houses a washable, nontoxic crayon, allowing kids to create drawings and write messages on the bathroom mirror. The illustrations from this toothbrush, which comes in six colors, can be easily erased with a washcloth so kids can keep creating everytime they brush. This toothbrush celebrates the Crayola Twist product line with a sculptural, twisted handle. The bristles on the single mold brush feature silicon helix shapes that amplify the overall energy of the design. The Crayola Twistbrush stores and dispenses colorful toothpaste. When kids brush, they twist a knob at the bottom of the handle to release the right amount of toothpaste into the brush bristles. 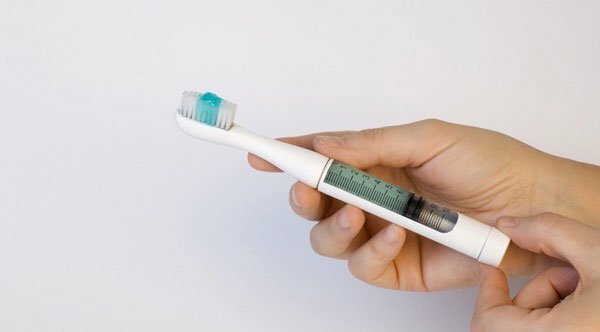 The toothbrush head connects to a removable handle that parents refill with toothpaste as needed.